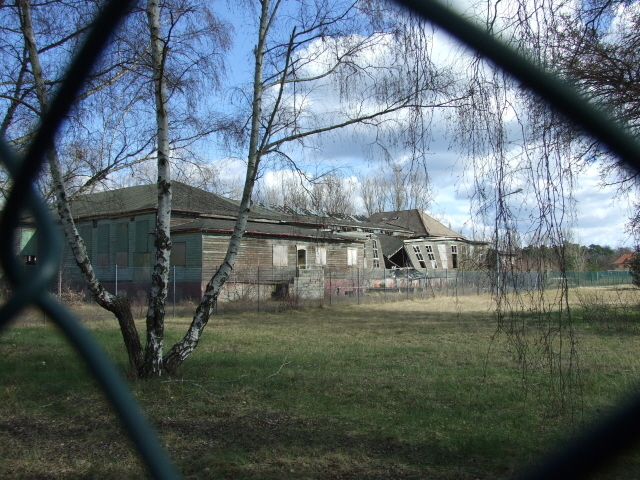 The site of a large Nazi-era concentration camp on the outskirts of Berlin, Germany. More background info: This was one of the first large concentration camps the Nazi regime set up, in 1936, not that long after seizing power in 1933 (see also Dachau). Thus its earliest inmates were political prisoners, communists and other opponents of the Nazis. But it wasn't before long that the whole host of other Nazi victim categories joined them, in particular homosexuals, Jehovah's witnesses, gypsies, and of course Jews, as well as POWs once World War II had started. Although this was mainly 'just' a real concentration camp and did not have the extra function of extermination camp (like Auschwitz or Majdanek), it had all the vile hallmarks of Nazi brutality towards their victims. Of the total of 204,000 people sent here about half perished as a result of malnutrition, harsh living conditions, and brutal treatment and, not least, executions. 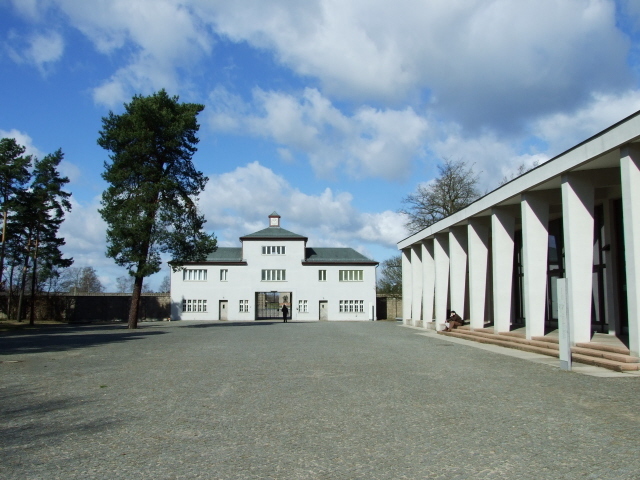 Sachsenhausen is special amongst all the Nazi concentration camps in that it also was a Holocaust training site for camp staff as well as an experimental site. In addition to 'medical experiments', an experimental mass shooting installation was covertly tested here, early experiments with gassing were undertaken too (mostly on Soviet POWs at first), and there was also a gas chamber proper, but apparently this was only occasionally put to use. Sachsenhausen also remarkable for its post-war history: the Soviets, who liberated the camp just before the end of WWII in April 1945, continued using the camp for their own political prisoners until 1950 – and the death toll during that period was similarly horrific as it had been under the Nazis. 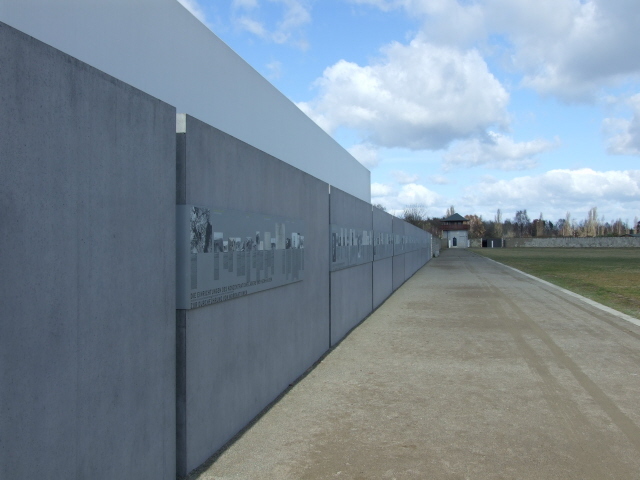 This post-war part of the site's history was more or less hushed up during the GDR days when a memorial and museum were set up – which put a disproportionate emphasis on the political, esp. communist, prisoners in the Nazi days, while granting e.g. homosexuals or Jehovah's Witnesses no mention. Even the role of Jews as the camp's victims was only later acknowledged. The old museum's exhibition also rather glorified the Red Army (naturally, one might add, since the USSR was of course the GDR's 'big brother'), without mentioning the camp's continued use after the war. Since the end of the Cold War and the collapse of the Eastern Bloc and the GDR, the site has undergone successive refurbishments and reworkings, and by now much of the GDR-era approach to the site's history has been replaced. There is however one section in the museum's exhibition that tries to cover that GDR-era part of the memorial site's history, including the former exhibition's biased approach, of which a selection of examples is still on display, only now with a newly interpreted context. In that way you could say it's sort-of a museum about a museum too. In my view, though, this part only manages to recreate a vague impression at best of what the old GDR-museum really was like. It's thus a bit of a loss. Still, it's better than just leaving the old exhibition unchanged or just sweeping it under the rug altogether. It's a compromise. What there is to see: The main exhibition is in the dedicated museum – which covers the history of the concentration camp and the Nazis’ system of persecution at large ... plus the bit about the site's post-war history under the communists, as mentioned above. Further exhibitions are housed or are being developed in other buildings too. It's a work in progress. In total 13 separate exhibition parts are planned. The latest to open (in March 2015) is a new one about selected perpetrators (which I haven't seen yet myself ... another reason for a return visit!). 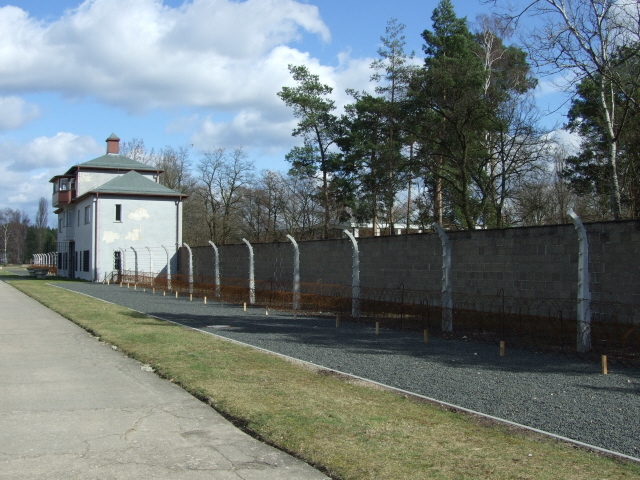 Of the camp itself, the perimeter wall of the roughly (and uniquely) triangular area remains mostly intact, including the watchtowers, but within this wall there are only a few reconstructed wooden barracks of the sort which would have housed the inmates. One of them has been reconstructed inside too, with densely arranged bunk beds and all. In the early 1990s this "Jewish" section was the target of an anti-Semitic arson attack but has since been rebuilt, now augmented by a plaque commemorating that nasty more recent example of neo-Nazi stupidity. 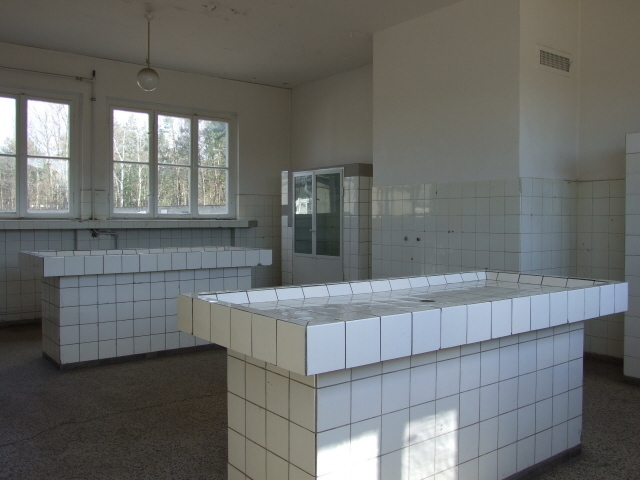 There are also a few other building within the main camp area, first and foremost the former 'Medical Station' where Nazi doctors performed some of their torturous medical experiments. A tiled post-mortem tables and cellars for corpses remains grimly in situ. There's an additional small exhibition in one of the observation towers ... but indoors only – don't expect to get a "guard's view" of the camp! Probably the most sinister part of the site lies just beyond the main wall (which here has been reworked into a memorial in itself), that is in what used to be the "works" part of the camp. 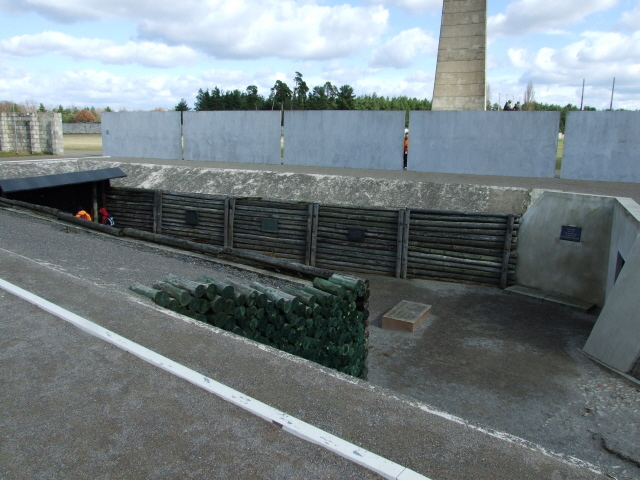 Here parts of the shooting installations can be seen where "experimental tests" were conducted in order to determine the most "efficient" ways of killing larger numbers of victims by shooting them in the neck (in a so-called "Genickschussanlage"). 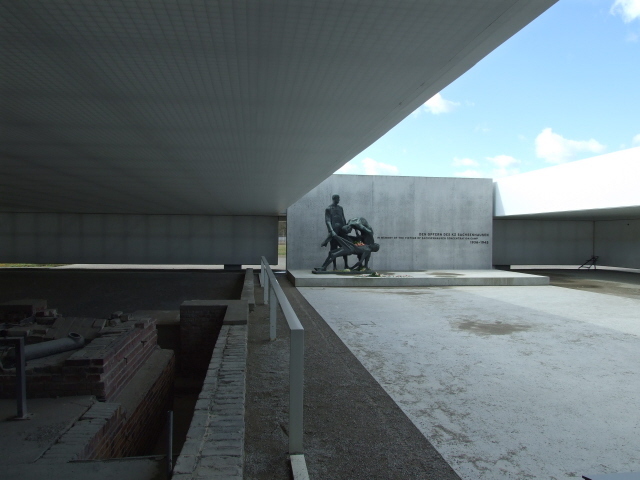 Next to this, the remains of the crematoria can be found – now housed under a new lower roof, and now surrounded by walls too, as part of a reworked memorial site (the old GDR-era open concrete roof apparently had become too decrepit) including a grisly statue. This is the infamous "station Z", where those early "experiments" in mass "extermination" took place. 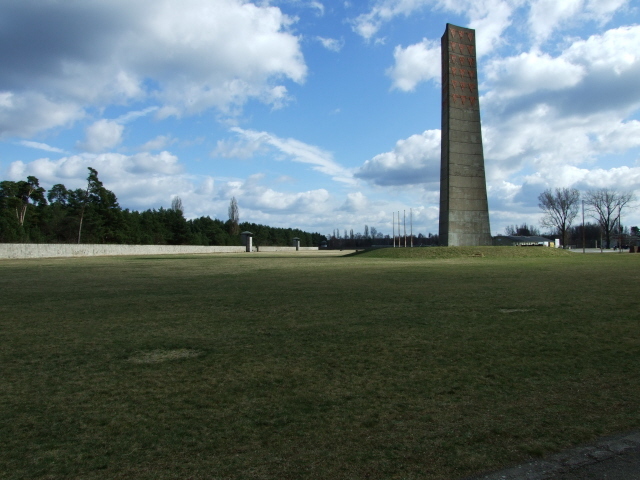 Towards the north of the centre of the open area, the old Soviet era main memorial towers over the site. Near the museum and gatehouse a section of barbed wire fence together with warning signs has been reconstructed, and at the former roll-call courtyard there's the site of the camp's gallows. At the far end, beyond the northern tip of the triangular main area, a new exhibition has recently been added that bridges a gap in the old GDR-era exhibition in that it finally chronicles the Soviet use of the camp after WWII too – called "Speziallager 7" then ('Special Camp No. 7'). 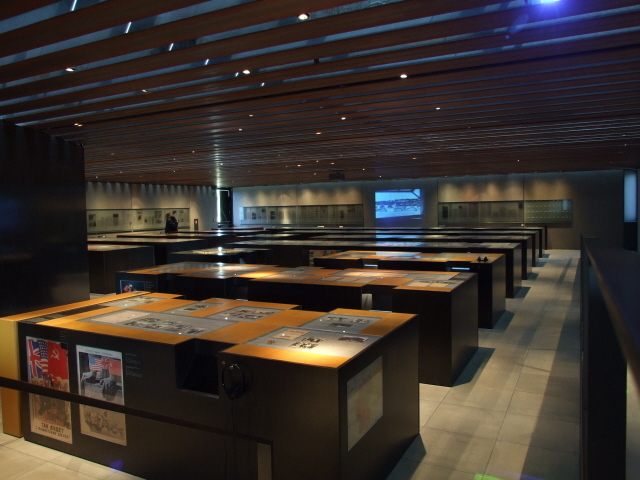 This very modern exhibition also contains a few computer workstations where the history of the site can be further studied. Next to this there's a space for temporary exhibitions (when I was last there it was about the Soviet gulags in Siberia). 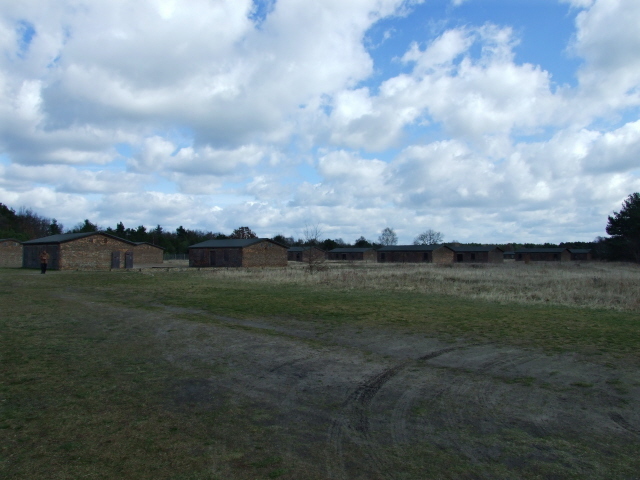 Finally, the brick-built barracks of the POW camp annexed to the main camp are now accessible stretching north-east of the new 'Special Camp No. 7' museum. The site is clearly well-maintained and the overall impression is more than satisfying. Unfortunately, however, with the site being so easily accessible and with it having become so popular, one can also witness visitors whose behaviour at a site like this leaves a bit to be desired (eating chocolates at the crematorium site is hardly a sign of good taste, for more than one reason). I personally find it slightly problematic as well when people pose for 'I was here' type holiday snaps in front of, say, the gate's inscription "Arbeit macht frei" (something also to be seen frequently at Auschwitz) as if it were a normal tourist site like the Eiffel Tower or Buckingham Palace. But I suppose this sort of approach to photography just comes with mainstream tourism. The atmosphere of the place can also be a bit impaired if several coach parties at the same time make the area feel a bit crowded (advice: come in the afternoon, most coach tours, school groups etc. visit in the morning). But on the other hand, the large numbers of visitors can of course also be taken to be testament to the significance of the place on the dark tourism map. Location: Just outside Berlin, towards the north of the city, in Oranienburg, Brandenburg. Access and costs: far out of the city but still fairly easy to get to; free. Details: getting to Sachsenhausen is comparatively easy, as Oranienburg is connected to Berlin's public transport network. The 'S-Bahn' metro trains (line S1) take about 50 minutes from the centre (e.g. Potsdamer Platz or Friedrichstraße) to the terminus at Oranienburg, and from the station it's a ca. 20-minute walk to Sachsenhausen – the route is well signposted. Alternatively there are (rather infrequent, half-hourly) buses. But if the 20 minute walk puts you off, bear in mind that there's a lot more walking involved in visiting the site itself! When taking the S-Bahn, remember that you're going to the outermost zone of the network, so make sure you have a ticket covering this! Opening times: Daily from 8:30 a.m. to 6 p.m. between 15 March and 15 October, only to 4:30 p.m. in winter. NOTE that the exhibitions are closed on Mondays, while access to the grounds/visitor centre remains open – but it would be pretty pointless to go there and not see the exhibitions. 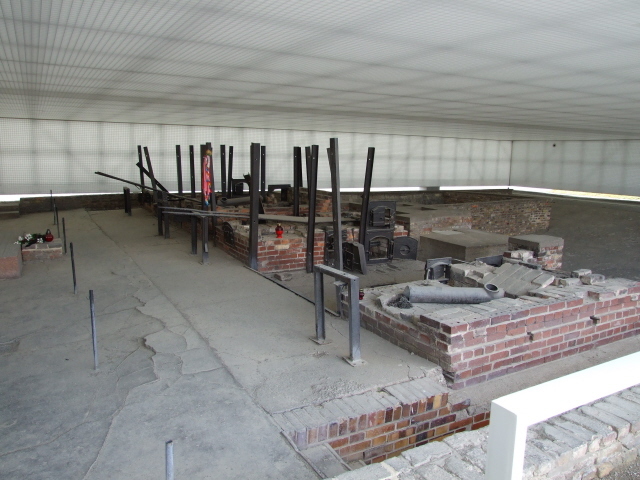 Admission to the site and the museum is free, audio-guides can be hired for a reasonable fee. 'Live' Guides can also be hired (and should be booked well in advance) for various tours, including a two-hour introductory tour as well as various more specialist ones. The prices are reasonable, esp. if you are a group, of course, as the there are flat rates for all tours (currently 15 EUR for up to 15 people, 25 EUR for up to 30). Foreign language guiding, including English, costs extra (considerably so, but still quite affordable – at the time of writing an extra 25 EUR). 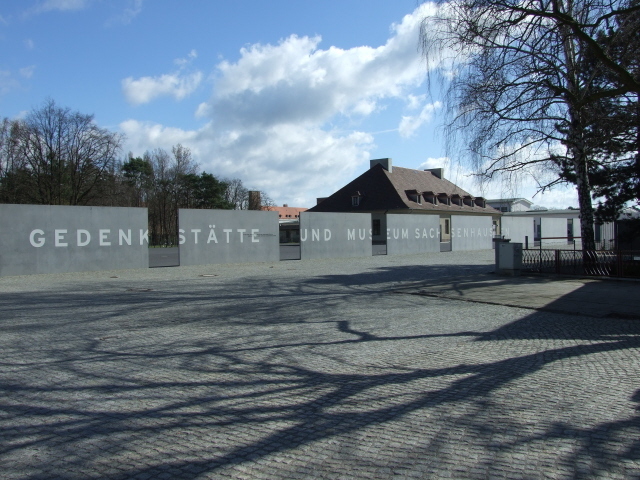 Pick-up and return packaged tours taking in Sachsenhausen are also offered by various operators from Berlin. 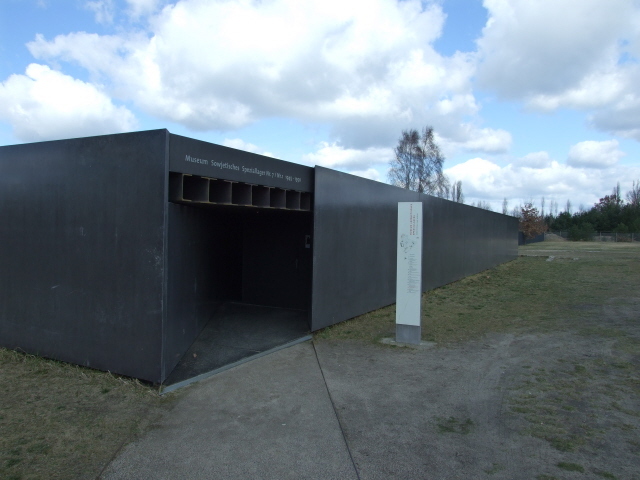 Time required: If you really want to 'do' the whole of Sachsenhausen (whether on a guided tour or on your own), including all the various exhibitions, you'll need a whole long day, or you have to be selective. You may even consider splitting the visit in two and spreading it over two days. Combinability with other dark destinations: more than plenty – see under Berlin – but not much really close by. Of the predecessor to Sachsenhausen, Oranienburg concentration camp/prison for political opponents (indeed one of the very first camps set up by the Nazis), nothing remains except that a memorial plaque has been erected. 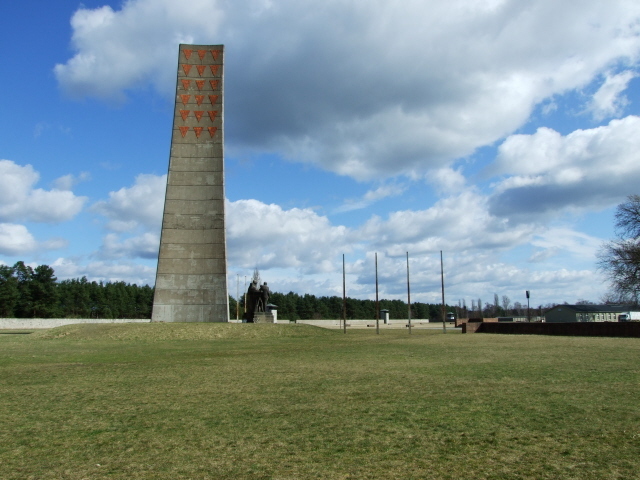 There's also a memorial to the Death Marches that the remaining inmates were forced on when the Nazis dissolved the camp just before the Red Army reached it. Furthermore, there's a site of mass graves, discovered some time ago and associated with the camp, and this is a memorial site of its own now, signposted from the main entrance to the Sachsenhausen Memorial site. At a push you could also go even further out from Berlin to as far as Ravensbrück, which is on the train line that goes past Oranienburg. Trying to visit two sites of former concentration camps in one single day may, however, be a bit much, unless you're prepared to be very selective. Combinability with non-dark destinations: see Berlin – but nothing of interest to the mainstream tourist in the vicinity, or indeed along the long way out to Oranienburg.